This card replaces the North East Florida and Oculina/East Canaveral and now contains Georgia and the majority of South Carolina. The North Florida, Georgia and South Carolina Card covers of some of the best fishing, diving, and deep dropping spots in the Atlantic Ocean. The northern section of the original NEFL data starts due east of Fernandina Beach in an area locals call the R4 Navy Tower Bottom. Depths range from 100' to 2,200'. The southern section of the original NEFL data starts east of Jacksonville. 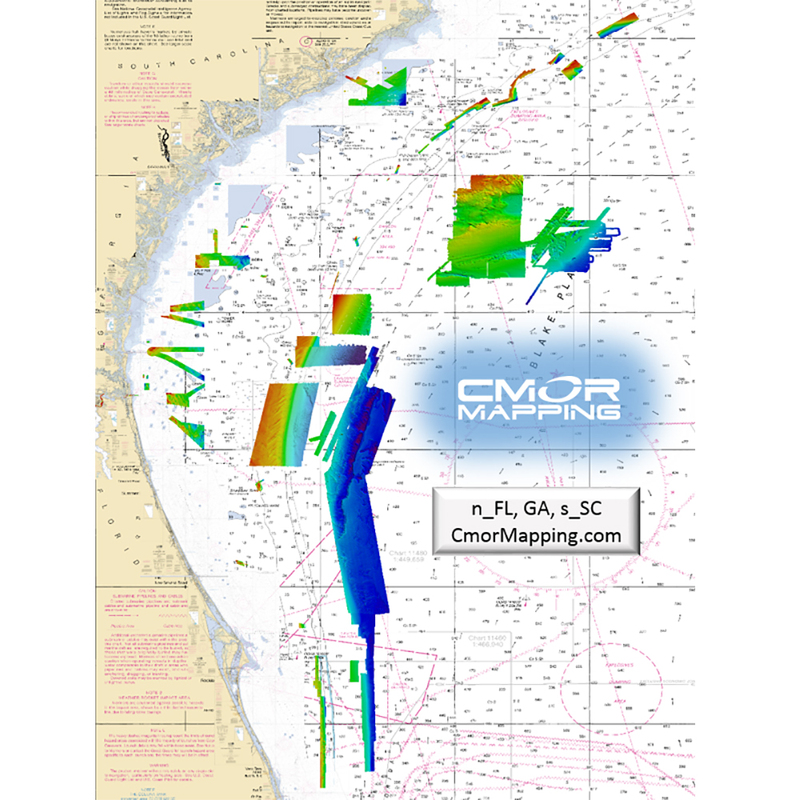 This section covers 941 square miles of data with depths ranging from 100' to 1,200'. This is a must-have CMOR Card if you like to dive the secret ledges on the top of the break, bottom fish for snapper grouper on the ledge, troll for wahoo and other pelagics, deep drop for tiles and snowy grouper, or want to try daytime sword fishing in 1,500' of water. NOAA Charts are included in the background.